Hey everybody. We are Circuit 12 and we will be new writers for The Hawt. We really hope to be able to bring you, the readers, the best music out there and to keep you up to date with Electronic Music. Both of us will be blogging independently as well as collaboratively. This is me, Rob, one half of Circuit 12 and the 2nd half, Jon, will also be blogging. To kick things off, I would love to discuss TATW 350, the milestone episode of Trance Around The World. Just in case you are not familiar with this podcast, it is a 2 hour show hosted by Above & Beyond that you can download free on iTunes. It also is broadcast live on DI.FM every Friday at 2PM EST. So this past Friday, the 10th, Above & Beyond celebrated their 350th edition of the show. An amazing achievement. I hear the party lived up to the achievement. From what I hear, the party (held at the L.A. Palladium) was beyond electric, with a godly line-up that included the likes of Super8 & Tab, Boom Jinx, Jaytech, Cosmic Gate as well as A&B themselves. The show started off with Boom Jinx, who true to his style, delivered an awesome progressive set which warmed up the crowd substantially. It was then Jaytech's turn who did exactly what Jaytech does, and it was brilliant. Then, it was time for Cosmic Gate. Like the gods that they are, they delivered one of the best sets of their career, and had the LA Palladium bowing down to them, and loving the tunes. And as soon as the crowd was at its climax, Above & Beyond stepped on stage to the sound of Aruna and Mark Eteson. It was magical. They killed it, track after track. To finish off the night, Super8 & Tab played a great set which added the cherry on top of the cake. I went to go check the tracklists and was happily surprised to see the genre of songs all artists played. I was hoping A&B would not celebrate their 350th episode with a masquerade of dream trance, and they did not. Above & Beyond played a very deep melodic set compared to what they usually play. The highlight of the set, in my opinion, was Jerome Isma-ae & Daniel Portman's remix of Reflect by Maor Levi (Youtube link below). For fans of deep house, you will surely adore this tune. Not only was the party incredible, but the guys at TATW did such a good job at getting faraway fans involved. There was a special TATW site where you could see where in the world people were listening. They even managed to reach the #1 Trending Topic on Twitter that day, an amazing achievement. I think they deserve all the buzz they get, because they are amazing producers as well as amazing DJ's, and they are definitely some of my favorites in Trance. I was listening to Episode 113 of the Gareth Emery Podcast, and came across a masterful dubstep/electro song. It is signed to deadmau5's label mau5trap, and is a collaboration between filthy-electro expert Feed Me and LA based Kill The Noise. I really, really liked this tune, and I thought I would share it with you. I unfortunately could not find a DL link, but I will link you to Youtube. And in other dubstep news, Skrillex is going on a "mini-tour" with Nero, the dubstep king. If ever this show comes to Montreal, it is something you should not miss. If you like dubstep that is. 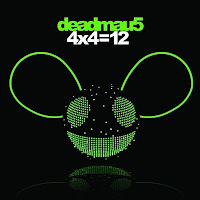 The new deadmau5 album was released not that long ago, and I have listened to it fully. I must admit I was not totally impressed by most of the songs, but there are still a few brilliant ones (Raise Your Weapon, Some Chords, Cthulu Sleeps). 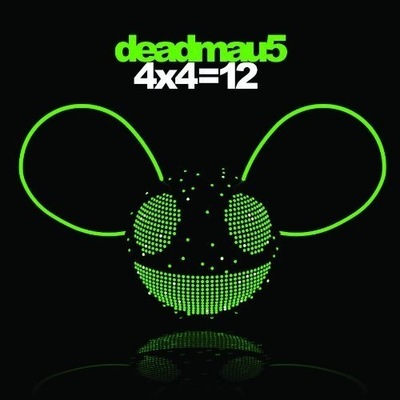 I really think deadmau5 has fallen a little behind in producing since his Strobe/Arguru/Brazil days. He seems to have very similar repetitive songs being released one after the other, and I am just not satisfied. And I also must admit that it is really the vocals in Raise Your Weapon that give it such power. I mean the dubstep part is good, but the power of the song is from the vocals, which are brilliant. The new deadmau5 album is what i was expecting, but now what I was hoping. Blake Jarell is in town tonight, at Circus Afterhours. He is performing a 5-hour set. I must say I do not know much about Blake Jarell, but I definitely know he is a skilled producer who will surely play a good set. I have been talking to producer Matt Lange for a little while now, and hopefully I will be able to interview in the coming weeks, make sure to stay tuned for that. To end this off, here are a few good Trance songs I have been hearing over the last little while. One of them is a great remix by Cressida of Jericho. The other one is a brilliant remix of Pocket Damage by Ferry Corsten. It's Rafael Frost on the remix, so you know it will be good. Thanks for reading The Hawt. This entry was posted on Friday, December 17, 2010 and is filed under Alan Morris,Cressida,Daniel Portman,Feed Me,Ferry Corsten,Jerome Isma-Ae,Kill the Noize,Maor Levi,Rafael Frost. You can follow any responses to this entry through the RSS 2.0. You can leave a response.